There’s always a place to go, even if you don’t leave the house. Yes, visit the corners of your mind. Yes, it has a beauty, enhanced by the black and white. I love the branches … like giant antlers. Good analogy. Snow on tree branches is magical I think! Brr that looks cold… but beautiful! 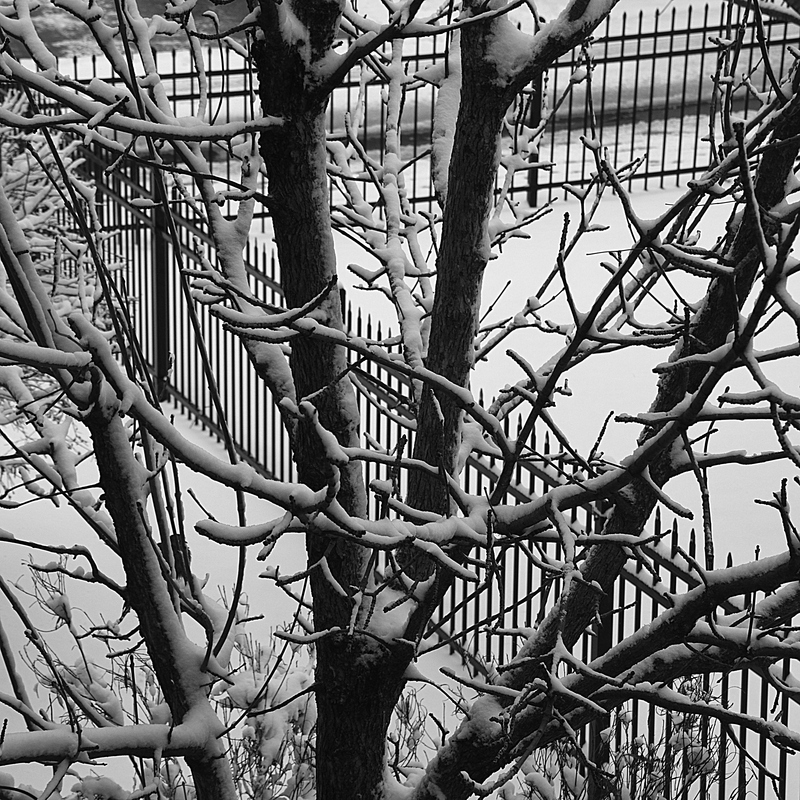 That’s the way with snow…cold, but so pretty.